The Jewish Ghetto is not only one of the most ancient neighbourhoods in Rome, but also the oldest Jewish community in the whole of Europe. It’s a small, atmospheric neighbourhood, where local history and traditions can be found on every street, from the lively main street of Via Portico d’Ottavia to the narrow, winding backstreets. As we walk through the cobbled streets of the Ghetto, seeing the Synagogue and the characteristic Kosher shops and bakeries, your guide will tell you about the long and turbulent history of the Jewish community in Rome - a story of emigration and persecution - and show you the people and places that make up the modern-day community. Highlights of the tour include visits to the picturesque Piazza di Mattei and its famous turtle fountain, the Synagogue, and the grand ruins of an Ancient Roman theatre, Teatro Marcello. On this private tour of Rome's Jewish Ghetto will spend roughly 3 hours touring the oldest Jewish community in Europe, appreciating the legacy of the first Jewish merchants who traversed the Tiber into ancient Rome, the remnants of the communities they built, and the rich heritage of a neighborhood that has been a center of faith and worship since the Middle Ages. We will stroll the streets of the quarter once designated as the only location Jews could live or work- a neighborhood once boxed in by walls and plagued by the constantly flooding waters of the Tiber river. In this triangular enclave in the heart of the historic center, we will see one of Rome's most beautiful fountain's, the ruins of one of the oldest theatres from ancient Rome, and the center of worship for Rome's Jewish community since the early 1900s. On this private tour we will walk the narrow streets that wind their way toward the river, where we will explore the Tiber Island before crossing to the other side and reaching Trastevere. The original home of Roman Jews from ancient times, here we will see the ruins of one of the oldest synagogues in Europe. Along the way we will stop to enjoy some of the tempting delights at the Kosher bakeries and pizzerias in this historically rich section of Rome. Rome has had a Jewish population for over 2,000 years. Emigration into the ancient world's greatest metropolis began around 140 BC, when Jews came to the fertile banks of the Tiber river and were absorbed into Roman society as traders, merchants, diplomats and slaves. Jewish traders from Israel first settled in the neighbourhood of Trastevere , where around 30,000 Jews lived and worked until the fall of the Roman Empire. 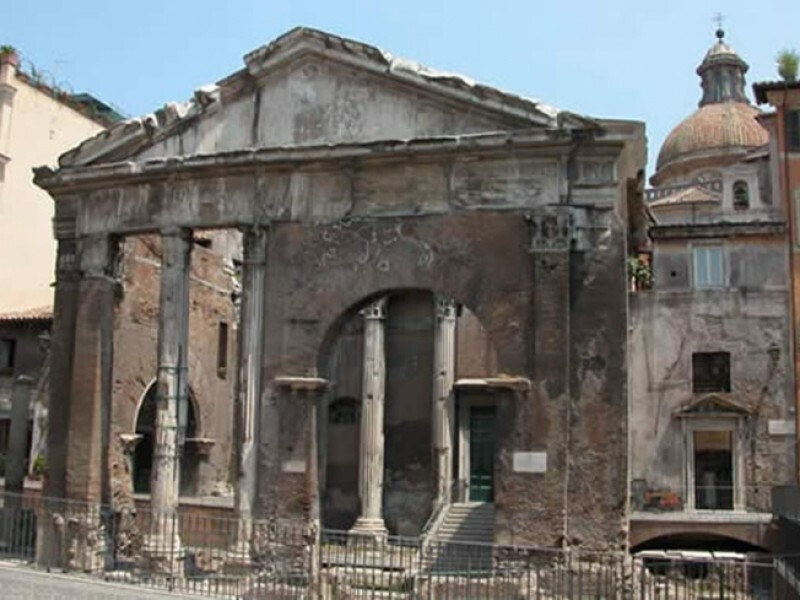 Today, one can see the remains of the ancient synagogue that once stood in this quaint community that remains one of Rome's most characteristic quarters today. By the middle ages, the Jewish community had shifted to the eastern banks of the Tiber, where in 1555 they were confined to a segregated area called the “ghetto” by Pope Paul IV. Christianity was in its peak during this time of papal rule, and hostility towards Judaism and those who followed it increased. Almost 5,000 Jews were walled into this 7 acre area perpetually at risk of flood, and subjected to harsh restrictions such as curfews, limited work possibilities and the forced wearing of yellow hats or scarves to identify them as Jews. Though the walls were torn down in the late 19th Century, the Jewish Ghetto remains a distinctive and historic area of Rome that is still home to many Jews today. 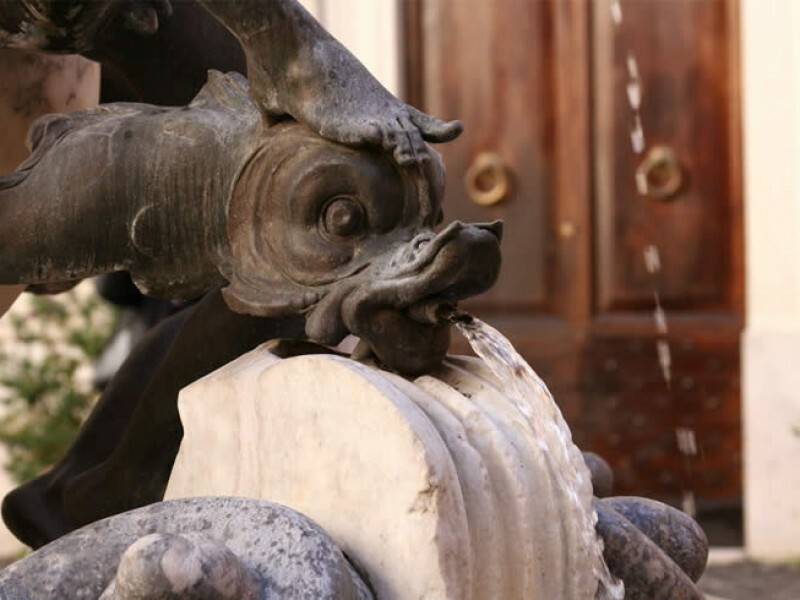 These narrow cobblestone streets are a maze studded with kosher bakeries and restaurants, and make for one of our most atmospheric private tours in Rome; hidden within them is Piazza Mattei, home to one of the most beautiful fountains in Rome. 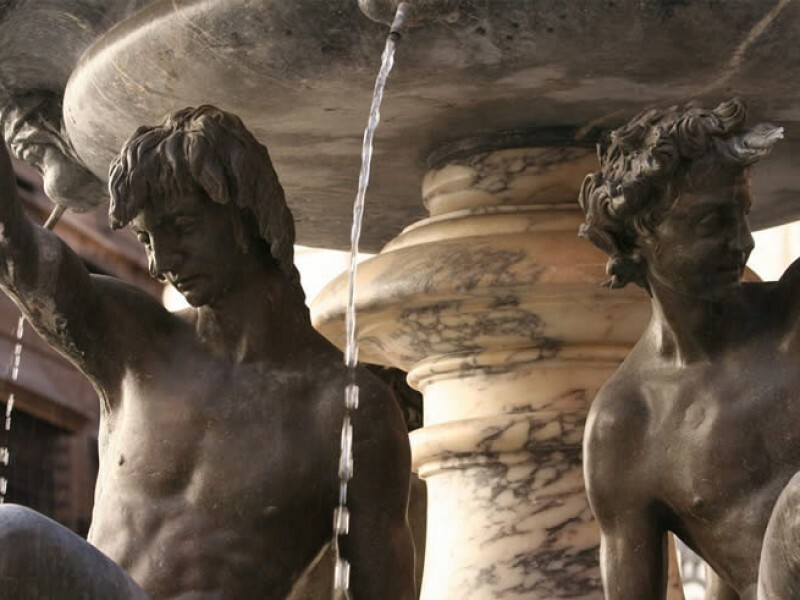 The Fountain of the Turtles is a 16th-century creation of Giacomo della Porta and is one of the great fountain sculptures of the Renaissance. The turtles were added by none other than the Baroque master Gianlorenzo Bernini in the 17th century. Nearby Via della Reginella offers a snapshot of what life in the Ghetto was like during the days of confinement. The narrow street is lined with buildings stretching seven stories high- a testament to the tenements Jews were forced to build upwards due to the cramped quarters of the ghetto. Further into the quarter is the piazza between Portico d'Ottavia and Tempo Maggiore, the gathering place for Jews being deported under Nazi occupation. A plaque commemorates this piazza as the location where some 8,000 Italian Jews were taken to become victims of the Holocaust. Sitting on the Lungotevere and overlooking the river is the Synagogue of Rome, a unique and beautiful structure completed in 1905. In contrast to the Baroque style in which much of Rome was crafted, the synagogue uses Persian and Babylonian architectural design and strikingly ethnic artistic adornments. Inside is a museum chronicling the presence of Jews in the Eternal City, from the time before Christ through to the persecutions under Hitler. The Jewish quarter is also home to one of the oldest standing and best preserved theatres of Ancient Rome. The Teatro Marcellus was originally constructed by Julius Caesar and completed after his death in 11 B.C. by the emperor Augustus. This vast amphitheater, named after his favorite nephew and son-in-law, was one of the greatest theaters of ancient Rome. Join us on this unique Rome private tour to discover an often forgotten chapter of the Eternal City's fascinating history. Your guide will meet you in front of La Feltrinelli's book store in Largo Torre Argentina. My wife and I toured Rome's Jewish Ghetto with Brandon Green. The tour COULD NOT HAVE BEEN BETTER. We walked / we talked / we saw / we learned / we discussed. He was extraordinarily knowledgeable and a pleasure to spend time with!